I'm almost embarrassed to write this post. I can't believe I've been in San Francisco for so long without visiting Blackbird. I assumed, inaccurately, that the Castro was a party scene and not good for cocktails. So here it goes: I apologize to the Castro and I apologize to Blackbird. I was wrong to avoid you both. Noelle and I were both very impressed with Blackbird, not the least because it's so far off the beaten path of cocktails in our fair city. 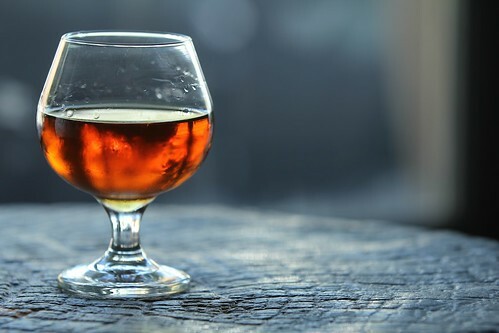 If you frequent the big cocktail bars in San Francisco, you've probably noticed that there are certain flavor profiles and balances that are commonly repeated. Compared to the usual cocktail bars, Blackbird is from another planet. The flavor combinations are unique, interesting, and delicious. Don't misunderstand me. I love the other cocktail bars, but sometimes I just want to mix it up. Blackbird is a perfect place to do that. Take a look at their new menu, along with some tasting notes. I'll try to convey how different these flavors are, but you really should go try them yourself. Sumo Wrestler: Whiskey, Nigori sake, yuzu juice, and (an amazing) yuzu marmalade. 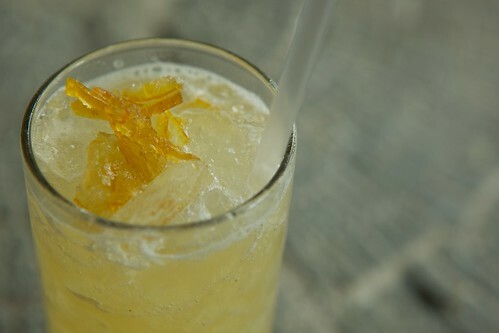 The yuzu marmalade in this drink is mind blowing, and the yuzu juice gives the drink a bit of a tropical feel. 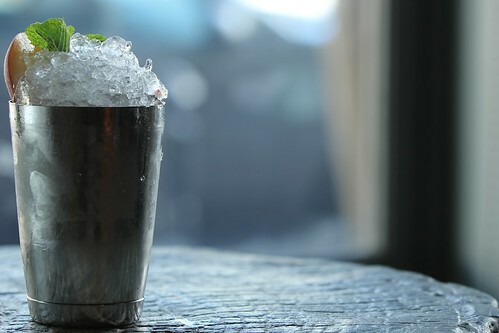 The whiskey and sake blend surprisingly well together; that, combined with the yuzu, make this a drink perfect for Hawaii––just sipping it makes me feel like I'm on the beach. Hanami: Pisco, orgeat, calipico, lemon, and rosewater. Calpico is a yogurt-style drink from Japan, in case you haven't heard of it. It adds a lip-smacking tartness to this drink that kept me coming back for more. Pisco is pretty floral as it is, and the rose water and orgeat help pull out some of those flavors. 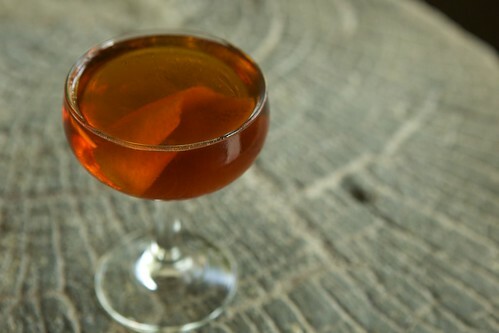 Prospect Park: Trybox New Make Rye, Amaro CioCiaro, maraschino, vermouth. I generally don't enjoy clear whiskeys of any sor,. 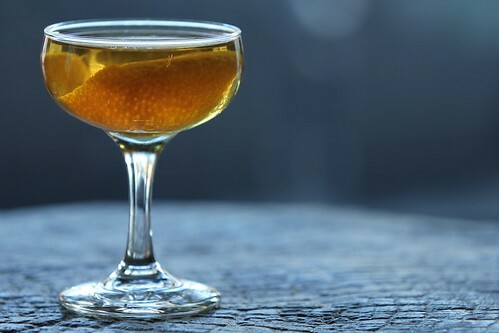 but I have to admit that the Trybox clear rye is quite good, and it gives this drink a brighter, lighter feel than an ordinary rye would without sacrificing flavor. 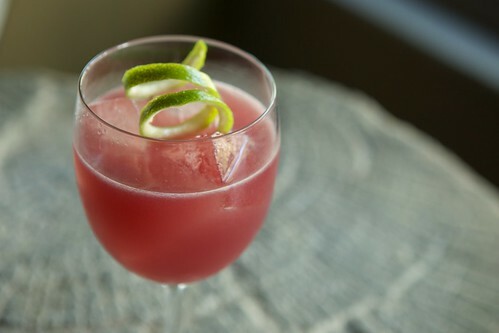 Indian Summer: Pisco, tequila, lime, blueberry gastrique. I haven't seen gastrique used in a cocktail too often, so I was interested to see how it would work in the Indian Summer. I had my doubts, especially after trying too many terrible vinegar cocktails, but I was pleasantly surprised by this drink. The gastrique gave this cocktail a nice salinity, pulling out the blueberry flavor. The acid in the vinegar and the lime match perfectly with tequila and pisco. This is another cocktail that kept me going back for more. 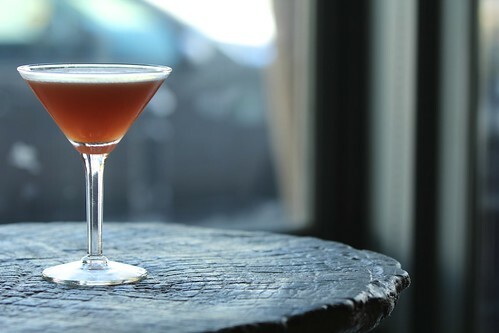 Hungary for Kentucky: Mellow Corn whiskey, Contrado Americano, Unicum Plum. I'd never had any of these ingredients, so perhaps that accounts for how blown away I was by this drink. The corn whiskey and the plum are a startlingly tasty, umami combination. Peach Julep: White peach (for now), sugar, whiskey. I've always wanted to make a peach julep myself, but it always tasted funny to me. Blackbird nailed it using white peach. On the Vine: Gin, celery bitters, pink peppercorn infused vodka, Imbue Vermouth. It's the summer of tomato cocktails, apparently. Besides Blackbird, Range has one on their menu. Miraculously, both cocktails are delicious, savory, and entirely different. On the Vine pulls out some of the savoriness of the tomato with the pink peppercorn infused vodka. The celery bitters pull it all together. Adios My Friend: Tequila, Mezcal, Sotol (a spirit similar to mezcal, but distilled from a plant called, shockingly, sotol), Bacanora (basically a mezcal distilled from wild agave), dry curacao, Luxardo bitters. I loved this drink. Loved it. Cannot stress that enough. It's incredibly smokey, but because it's been barrel aged, the drink is smooth and drinkable. 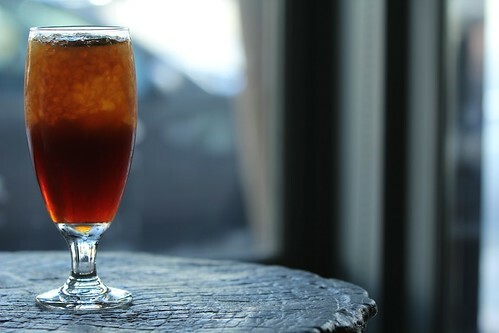 Rye N. Gosling: Old Overholt Rye, Black Seal black rum, Yellow Chartreuse, Averna, lactart. Topped with creme soda. This is Blackbird's crowd pleaser. 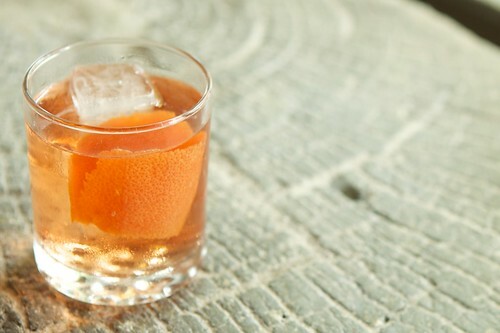 It's sweet, naturally, but it's not a club drink, not by a long shot. 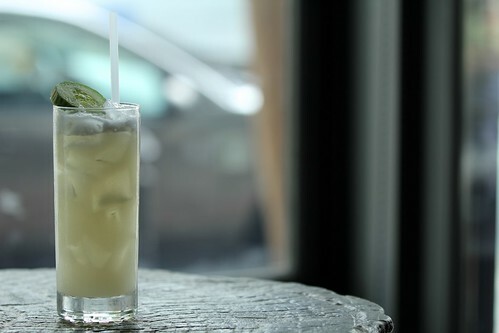 The Chartreuse and Averna add a nice depth to this drink, while the lactart and creme soda add a smooth, creamy finish. By the way, if you haven't been to Blackbird in awhile there's been a few changes in decor. Pictures of that to come.